Bosses in Sheffield are being warned a £40m broadband grant scheme is rapidly running out due to a stampede from businesses in other cities including Leeds. More than 500 firms in West Yorkshire have applied for connection vouchers worth up to £3,000 since April 1, compared to 188 in South Yorkshire - despite the city centre having no access to ‘affordable’ fibre. Now, Superconnected Cities, the Government-backed organisation behind the scheme, says the money is likely to run out in November. The warning has sparked urgent calls to companies to apply - especially in Sheffield city centre where firms face huge costs to access high speed internet after the taxpayer-funded Digital Region network was shut down last year. Sheffield City Council has organised a ‘Broadband Summit’ to raise awareness of the voucher scheme. The breakfast event is at the town hall on Monday June 22. 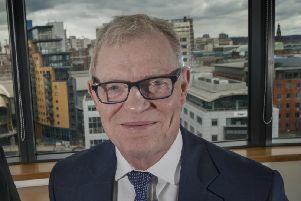 HMRC is writing to SMEs across Yorkshire to promote the scheme and Superconnected Cities says it plans to write to more than 12,000 Sheffield firms from next week to drive take up. Alex Hodgson, of Sheffield telecoms company, One2Call, said a grant could be particularly useful to city centre businesses which face paying for an expensive ‘leased line’ plus installation charges which could involve digging up the road. He added: “It’s the best option, bosses should look into it and act now. £40m sounds like a lot of money but this warning has put urgency into our activity. The £100m Digital Region network was shut down and sold off last year. In September the county’s four councils signed a £22m deal with BT to provide superfast broadband to South Yorkshire. But Sheffield city centre was excluded.